Fog is an alternative source with high potentiality. It provides clean water in arid and semiarid regions with an affordable system. Consequently, my aims is to design a simple and low-cost architectural skin to capture moisture and transform it into usable water. 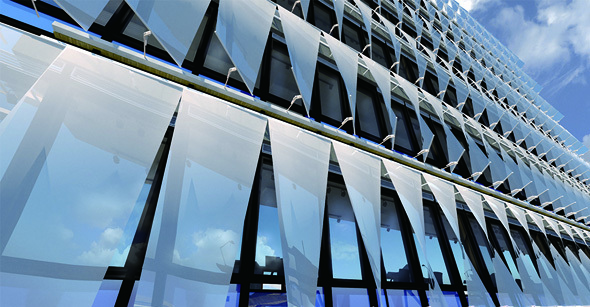 The Bionic Breathing Skin for Architecture is connected to water purification system and transported to running water system. Collected moisture can be transformed into household water ultimately. Air pollution is an urgent environmental issue needed to be solved. Its emissions of vehicles and PM 2.5 cause acid rain and pollution. Barriers are the highest interface contacting traffic flow. Moss can grow on the roadside in emissions, also can absorb vehicle emissions as nutrient. 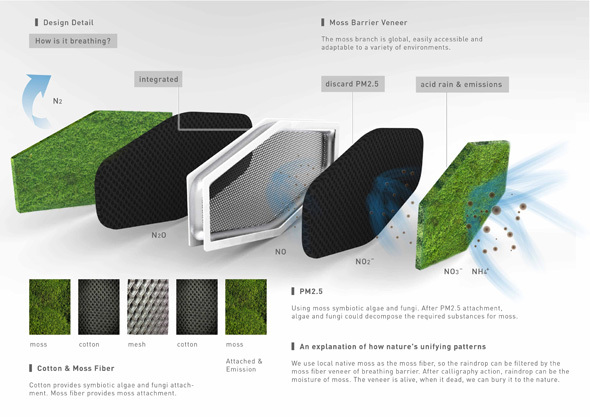 It’s why we hope to improve pollution problems through the combination of these. What if we take plant itself as the road light? Can we replace road light with natural plant itself? Normally, Light pollution is the presence of anthropocentric light in the night environment. It is exacerbated by excessive, misdirected or obtrusive uses of light, but even carefully used light fundamentally alters natural conditions. As a major side-effect of urbanization, it is blamed for compromising health, disrupting ecosystems and spoiling aesthetic environments. 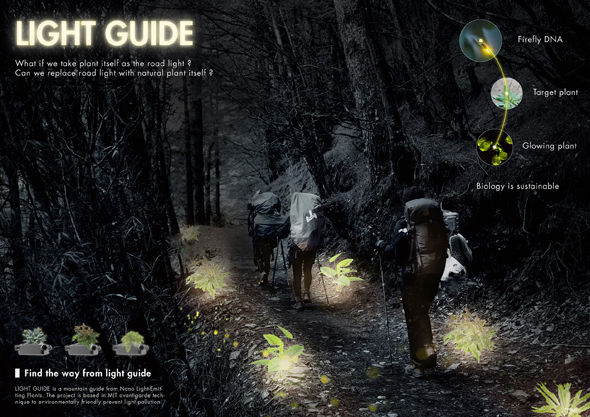 We create LIGHT GUIDE – a lighting device on mountain path to reduce light pollution. The plant is used as a veneer to self-illuminate and light the mountain path. 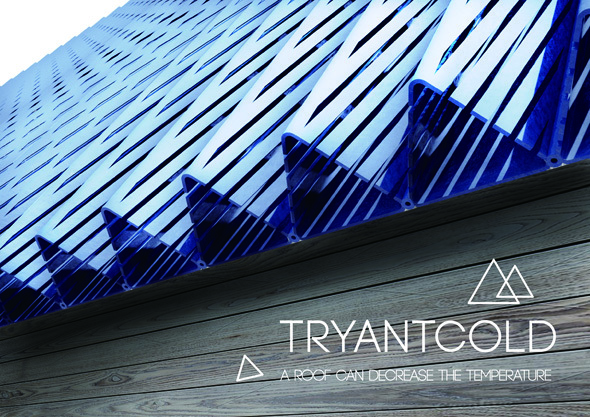 It mixes energy, functions and materials by combining plants and device. 登入 | 60 queries. 0.105 seconds.